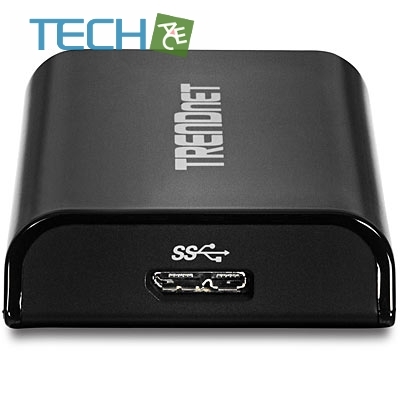 View your computer or browse the internet on a big screen HD TV with TRENDnet’s USB 3.0 to HD TV Adapter, model TU3-HDMI. 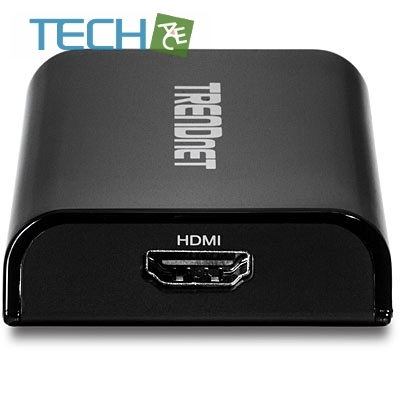 The adapter converts a USB port on your Window’s based computer to an HDMI port to extend your computer’s viewing field to an HD TV, monitor, or projector (with an HDMI port). Extend mode adds an HD TV viewing field to the left, right, top, or bottom of your existing monitor. Mirror mode, copies your monitor’s viewing field to the TV. 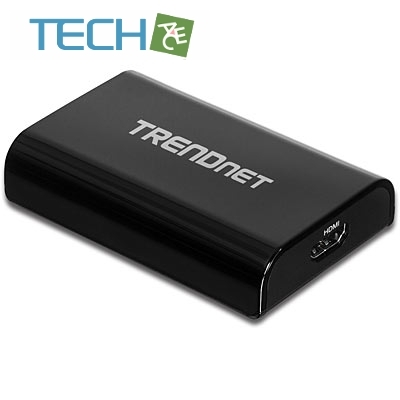 The Primary Display function transfers operating system controls to the TV viewing field. Install up to six TU3-HDMIs to add HD TVs to your workstation. Experience the visual impact of 32-bit True Color Depth technology and a sparkling 1920 x 1080 high definition image. Standard and wide screen viewing modes are supported.